ZirTek™ Ultra is the perfect highly-esthetic restorative product for both posterior and anterior regions. 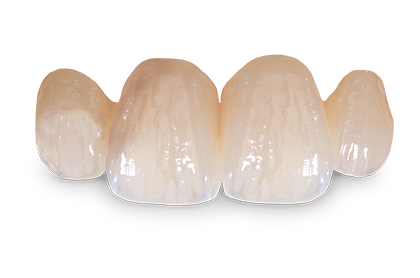 This crown and bridge option has a flexural strength of 800 MPa while still being one of the most lifelike restorations available. ZirTek™ Ultra is the first 4-shade layered zirconia with amazing color gradation and fluorescence, making highly esthetic and natural restorations. Along with the rest of our ZirTek™ line of restorations, ZirTek™ Ultra has a lab turnaround time of 5 days and comes with a 7-year warranty.